Have you ever thought how much easier would working with Microsoft Dynamics NAV be if you had good documentation? 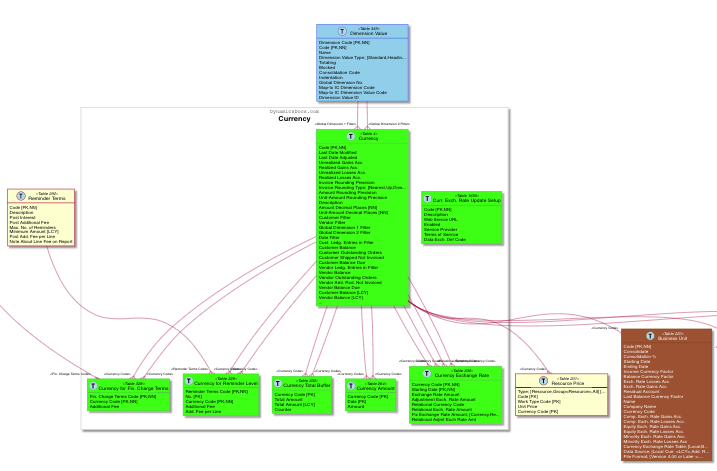 Now you can get database schema diagram for every granule in Microsoft Dynamics NAV. These diagrams include all table relations available in Dynamics NAV. 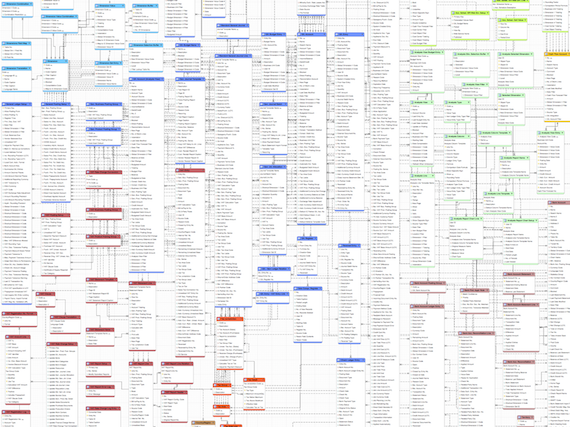 Every developer and consultant should have access to a complete entity relationship diagram of all Dynamics NAV tables and relationships. It will speed up learning the architecture of the NAV. Your new employees will appreciate it. Diagrams are updated for each CU. This is my second attempt at providing better documentation for NAV. I have created E/R diagrams for Navision 4.0 (navitools.com). This time I created dynamic version of the diagrams with fewer tables on each diagram and links to detailed information about the tables. Please share this project with your co-workers, friends and clients. I will also appreciate your ideas and feedback. Are you interested in diagrams for your customized version of NAV? Please read the post.